Come join us on the weekend of April 27-28 from 9:00am to 4:00pm! 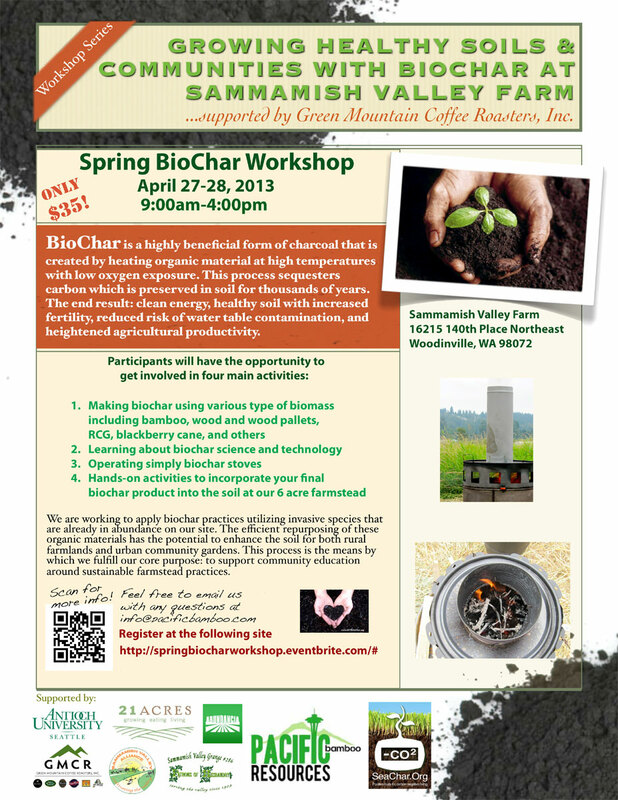 This will be a fun, hands-on, and exciting opportunity to learn about the beneficial aspects of biochar. 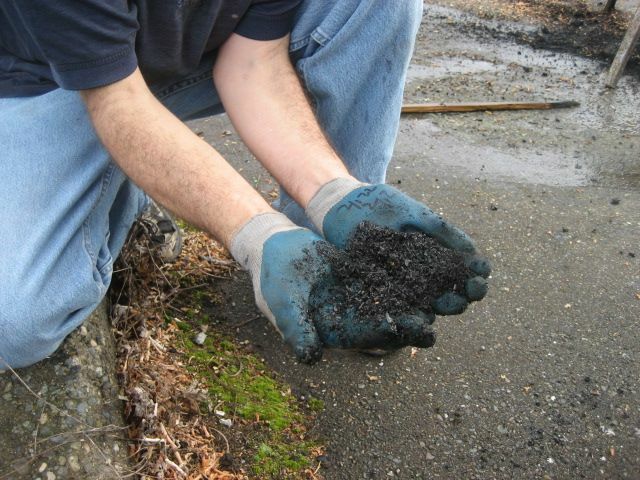 You will not only build a stove which you can take home, but you will also learn how to make and use biochar. 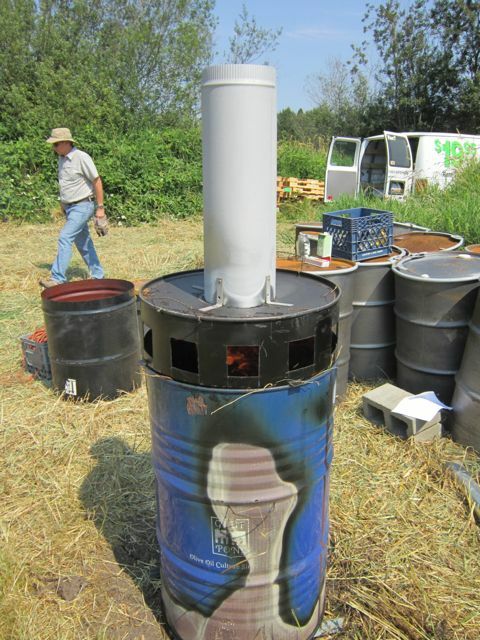 On Sunday we will be heating up some yummy Chilli using a biochar stove! Sunday participants should bring with them 4 tin cans. These cans will provide our meal. 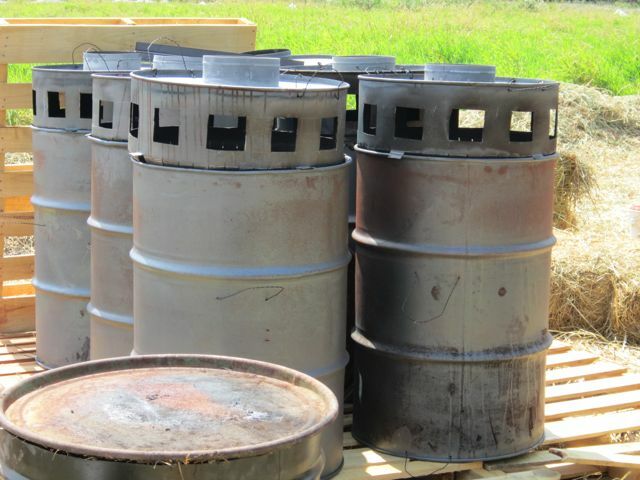 We are now selling a 55-gallon drum J-RO style TLUD to farmers down here in the Talamanca, the 1st wave are now 4 months old and still holding up. Our price is $100 USD. (w/o transportation) Although the one picture( attached) shows us processing hay on a farm near Seattle, most of what farmers are charring in our area of C.R. is pruned branches from the cacao fincas. Our Estufa Finca stoves and our drums are really designed to accommodate irregular woody waste, bamboo, coconut shells and husks, etc... This is all natural draft. Our run temp. in both devices average between 650-800c. Run time with tightly loaded woody waste is approx. 2.5-3 hours. We will soon be installing a prototype TLUD heat exchanger. It will supply the hot water for a hydronic cacao bean drying system. Parts are shipping from Seattle. I hope to be installing this within the month. Pictures to follow. Thanks to John Rogers, Dr.TLUD, Hugh McLaughlin and Doug Clayton for all the inspiration and advice.